Like a long and winding road through the Blue Ridge Mountains, the road to recovery after a traumatic foot injury can be lengthy, but there are some things to keep in mind that will allow you to experience more ups than downs, and an overall smoother and faster recovery. Trauma to the foot most often occurs due to an accident or sports injury. Dropping something heavy on your foot or being on the receiving end of a blindsiding tackle are both good examples that can result in broken bones and torn tendons. From midfoot Lisfranc fractures to Achilles tendon ruptures and broken ankles, these types of injuries take more time to bounce back from than a strain or sprain, so the first thing to remember is to be patient! You don’t want to rush the healing process along, because bones and soft tissues that heal incorrectly can result in even more problems down the road. On that note, follow care instructions closely. Keep stitches clean and dry, take medication as prescribed, don’t bear weight until you’re told you can do so, try not to overdo it when you do get the go ahead, and be sure to keep your follow up appointments to ensure you are healing properly. Once you reach the stage in which you can start to bear weight, physical therapy exercises will help you regain strength, flexibility, range of motion, and function. A gradual return to activity – the key word being “gradual” – is essential to avoid any setbacks or reinjury. 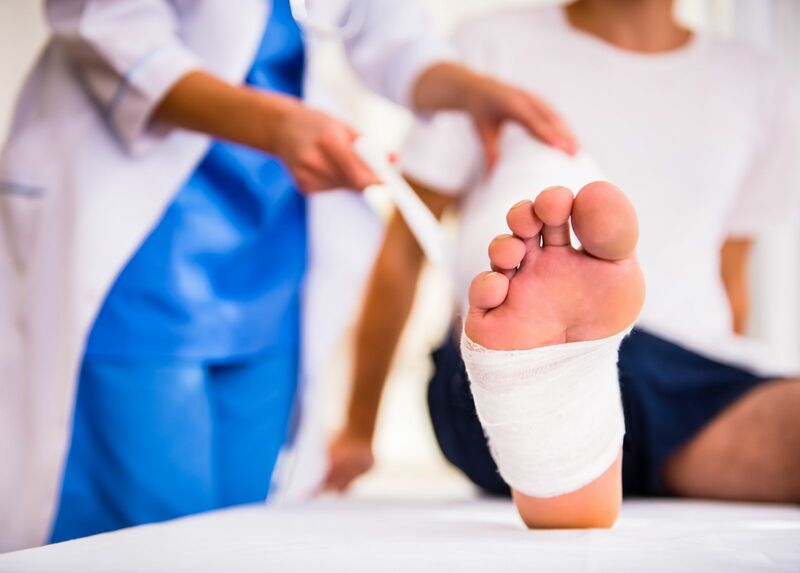 Recovery time varies depending on the type of traumatic foot injury you’ve sustained, its severity, whether you underwent surgery, your lifestyle, age, fitness level, and other factors. It can take several weeks or several months, but rest assured this will be thoroughly discussed so you will know what to expect in your individual situation. Of course, the first step toward complete recovery is getting the proper treatment you need for your injury! Martin Foot and Ankle can certainly help with that! Contact any of our PA offices by dialing (717) 757-3537. We’ll get you on the right treatment plan and a smooth and speedy road to recovery!